The snake’s posture or “Sarpasana” is simple enough. It prepares the body for the Cobra pose and possesses the majority of “bonuses” which are beneficial for back bending. We will help you find out how to do that. A starting position is lying, the legs remain in parallel, and the heels are twisted inward — towards each other. We put our hands behind our backs, then we interlace our fingers in the lock and on inhalation we pull out the lock. After this set the shoulders back, make the neck released, stretch up and forwards the top. Breathe deep and calm. There should be a spiritual concentration on Anahata chakra. The asana helps to correct posture. It tones up the entire body. It strengthens the muscles of the back (upper part). Sarpasana improves the flexibility of the spine, spreads the chest, lungs, and therefore helps to deepen breathing. It helps in the prevention of osteochondrosis. Due to the impact on the lower abdomen, it becomes beneficial in the case of menstrual irregularities and in the case of some other gynecological/male problems. It has the beneficial effect on the liver and kidneys. Pose stimulates appetite, helps to eliminate constipation. There are also contraindications: ulcer of stomach and duodenum, hernia, intestinal tuberculosis, hyperthyroidism. Also, in the case of high blood pressure and heart disease, extreme caution should be exercised. The technique of execution of Sarpasana or how to relieve tension from your back. Lie on your stomach, bring your legs together, pull your socks off. With your hands on the floor, stretch your ribs forward, a rib arch-like “clinging” to the support surface. Open the chest, take your elbows back, taking your shoulder blades and leaving your palms open. Raise the breast as high as possible. Do not raise your head too high, and bear in mind that your neck should continue the line of your back. Try to maximally “reveal” the thoracic spine, and do not bully your elbows. The ups and downs of the feet should be firmly pressed to the floor as if you feel the ground on your heels. Now we will consider the in-depth effects of this healthy pose. Due to the fact that this type of deflection is carried out without the support of the hands, there is practically no risk of injury. Asana strengthens the muscles of the back, helps stretch the spine, tones the kidneys. Exercise develops the flexibility of the spine, yogis believe that a person remains young as long as his spine is flexible. 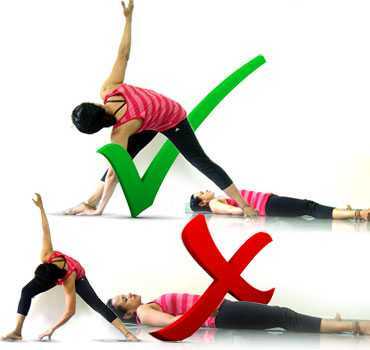 The pose helps with treatment of scoliosis of the thoracic spine and to prevent them, straightens the posture. As yogis say, with the help of this exercise, a center of “beautiful posture” is created in the cerebral cortex. help in the treatment of a decreased function of the thyroid gland; intensifies blood circulation. improve the activity of the ureters, ovaries, and appendages. There are also some remarks. Some yogis recommend performing this exercise in the morning, immediately after awakening, at the beginning of the basic everyday complex. In this case, before performing Purna Sarpasana, ventilate the room, go to the toilet, wash, brush your teeth, and have a bath. Then, you can sit on a chair and try to drink in small sips. Don’t hurry. Drink 300 … 350 g of hot water at a temperature such that the water does not burn lips (from warm water can vomit). The required water temperature can be obtained if mixed in half boiling water with chilled boiled water (half a cup). It is enough for children from 6 to 16 years old to drink 200-250 g of liquid. If it is difficult to drink such a quantity of water at once, then you must start with a smaller volume and gradually bring it to be normal. Drinking enhances blood circulation, warms, prepares the gastrointestinal tract for the subsequent exercises of the complex, and improves its work. This water is not included in the total amount of liquid (10-12 glasses), which is necessary, according to some yogis, to drink daily. If in the morning you do not have time to heat the water, you can prepare it in the evening and use a thermos. It will have the right temperature. Do not drink water that has not been boiled. Immediately after drinking hot water, start the exercise. Purna Sarpasana is considered more effective than Bhujangasana’s one-type exercise. Its main effect consists in setting the spine and straightening the back. MUST READ Is Jogging Everyday Good, Are You Sure? At its performance, slowness is important. The body should slowly, smoothly, as if in a hunt, stretching, “flow” from position to position, maximally bending, fixing in each of them (especially in positions I and IV it is important to hang the trunk as much as possible, let it hang). The main thing (which is given not at once) is the gradualness of ascent and lowering. It is necessary, during the ascent, first to maximally bend the first vertebrae back. Then focus on the next vertebrae, and so on, as if you are tightly wound on a roller, hooked on the head. As you go up behind the vertebrae, your attention goes (it’s always easier to direct it to the full section). Similarly, when lowering: first straightened lower vertebrae, and all the remaining remain as much as possible bent, etc. to the very top (up to the head). The work with attention, so important in all yoga, is complicated here by the complexity of the exercise and the lack of habitat the beginning of the development of exercises of such work; do not worry, everything will turn out in time.